First let me start by saying I don’t have an expensive camera and sure am not a professional photographer..lol I do however carry a little Samsung digital with me wherever I go.. or even sometimes just use my Smartphone to take pics of things that catch my eye. There may come a day that I won’t be able to get out and see things like I do now.. and to me pictures are not just pictures but a way to tell stories of the memories in my life. 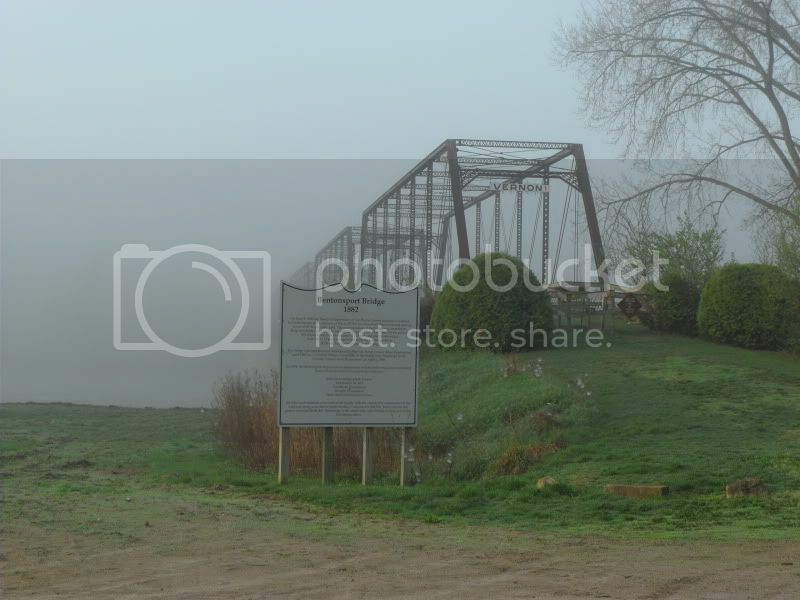 Went to a little town in Bentonsport Iowa last weekend, spotted this old bridge and its “tentant”, I think I will be heading back there to try some catfishing underneath that bridge…. Cheap camera or not, those are cool pics. 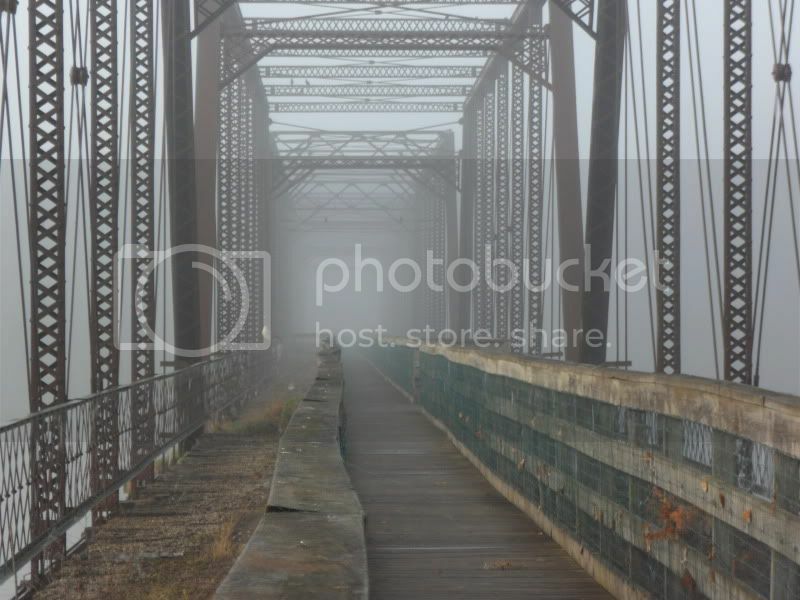 Looks like a scene from a horror movie. I love it! 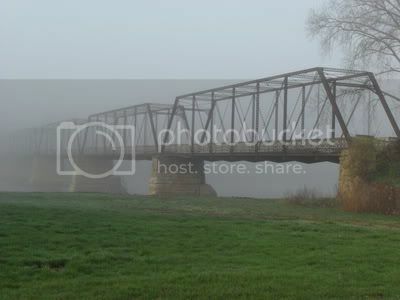 Thanks guys.. it was a pretty cool place.. very creepy first thing in the am.. and I’ve never fished the Des Moines River, but this spot really caught my eye and I could not help but try to get closer to check things out. I started out this far.. and worked my way closer to get pic .... hoping I did not regret it..we just had a brief staring match , took the pic and was on my way…. 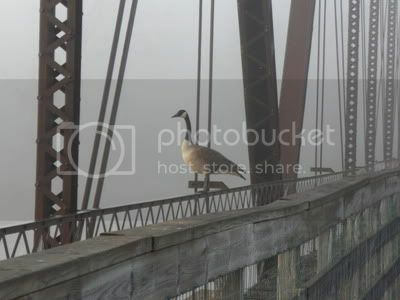 Goose in the mist,lol….Looks like an AWESOME place!!!! !